Safehaven Refugee Sponsorship Group is an officially sponsored outreach of St. George’s and 5 other local church’s and their congregations. It has been quite some time since we have updated you about our progress with the Syrian family of 7 we are sponsoring. For those who are new or missed the last address in the spring, Safehaven formed almost 3 years ago and almost 2 years ago we signed the papers and filed them with the gov’t for this preapproved family. Yes, that’s correct, almost 2 years ago in December. This Syrian family fled the civil war over 3 years ago. They lived close to Aleppo and fled north across the border into neighbouring Turkey. There are now….ready for this… 3.5 million Syrians sheltering in Turkey and the situation is dire. By comparison….there are 4.7 million people in all of BC. Syrians in Turkey are not “legally” allowed to work or to travel more than a short distance. To travel, they must obtain travel documents as this family had to do, when they travelled a very long distance to the Canadian Embassy for their medical exams and document completion. Also, complicating matters is the currency crisis in Turkey where the Turkish lire has devalued by 40% since this spring. Another complication is that the Canadian Embassy in Ankara Turkey is overwhelmed. A refugee group in the Comox Valley waited 2 years to the day for a pre-approved sponsored family from Turkey to arrive, so we feel we are getting very, very close to our arrival date. Since last November, we have been sending this family 500.00 per month, to help them survive. We have now run out of funds and are sending out an appeal to the 6 congregations who are involved, and to the general public. We would like to continue with this humanitarian relief until this family is here, so, if you have a heart for the refugee crisis and in particular this Syrian family, please donate. We do not wish you to divert funds from your regular church givings, but if you want to skip that latte you regularly buy and donate 5, 10, 20.00 or more, we and this sponsored family would be forever grateful. As mentioned before, we are unable to issue tax receipts for these particular funds as Canada Revenue does not allow it for funds that leave the country. Cheques can be made out to Syrian Overseas Relief Fund. We thank you for your consideration on this and are grateful to all of you for the amazing support and encouragement we have received. If you have any further questions, please contact me at garycstevenson@msn.com. Safehaven Refugee Sponsorship Group and Wendy Nixon Stothert, the regional director of the BC Choral Federation, are pleased to announce the 3rd annual Choral Musaic Event. Hello from Safehaven: Refugee Sponsorship Group. You are probably wondering, what have these people been up to, what’s happening with the Syrian Family of 7, and why is it taking so long? These are all good questions and we will do our best to answer them. We are still waiting for the family to have their meeting with the Canadian Embassy in Turkey for clearance to Canada. They are officially registered with the U.N. as refugees and have been waiting for over 2 years in Turkey where they are not allowed to work. They have survived by other family members support in the Middle East and Canada, but that is starting to wane as they too are experiencing financial hardship. The delay comes because of the reduction in staffing for refugees in various offices. There is a Refugee group from Victoria that filed 8 months ahead of us, and they have not heard an arrival date yet either. Usually, you only get 6 weeks notice of arrival so there is not much time to react and you have to have all your plans in place. We do. We are starting to send funds overseas to the family (500.00 a month) for the next 6 months on a trial basis. The laws in Canada, enforced by Canada Revenue, are such that we cannot send funds overseas that have been issued a tax receipt for income tax purposes. The Government takes this position because of fears for funding of militant groups or money laundering. This means that even though we have raised sufficient funds for the families first year here (with a buffer for emergencies) we cannot send funds overseas from this account and we must start separate fundraising, non-tax receipted, and deposited in a separate standalone account. For this reason, we are once again soliciting support for this family. You can make your donations through any number of Comox Valley churches including, Comox United, Comox Valley Presbyterian, Living Hope Christian Fellowship, Shepherd of the Valley Lutheran and St. George’s United. Cheques can be made payable to Safehaven: Overseas Syrian Relief Fund. We regret that any donations received will not be supported by a tax receipt under these circumstances as explained. We also plan to do other fundraising events in the new year which we will announce as they unfold. To remind everyone, this Syrian family consists of a young widowed mother with 4 children under 15, and her parents, grandparents to the 4 children. We have been overwhelmed by the financial and spiritual support we have received from the generous Comox Valley. We are committed to saving and supporting this family and all 18 of us in Safehaven thank you for your consideration. Thanks to the incredible generosity of the Comox Valley, Safehaven Refugee Sponsorship Group has achieved our financial budget for the Syrian family of 7 we are sponsoring. Safehaven:Refugee Sponsorship Groupwas formed a year ago and in that time we have raised approximately $68,000.00 towards the goal of bringing our designated Syrian family of 7 to the Comox Valley. As of today, our paperwork was approved and forwarded from the Canadian Governments central office in Winnipeg, to the appropriate embassy in Turkey where our family is sheltering. We could be waiting for up to 10 months more before the family arrives as the process has slowed down somewhat with the government. On the other hand, they could arrive in a few weeks but, we just don’t know. It is unlikely that this will happen, but it is possible. There is much to do in the meantime in preparation for receiving this family and instituting our “settlement plan”. This includes categories like housing, interpreters, ESL, clothing, furnishings, utilities, food, schooling, paperwork(SIN numbers, interim federal health, child benefits etc), banking and our monetary system, health appointments, transportation, computers and cell phones to name a few. It looks like a daunting task, but taken individually, it is actually much less onerous. We will be hosting a large Choral Concert with 7 mass choirs early in May with admission by donation. A special guest will be a world class Syrian violinist from Victoria, Mr. Sari Alesh. Mr. Alesh has been covered by numerous newspapers across the country and Macleans magazine as Mr. Alesh was brought into Victoria as refugee himself in 2016. This will be a wonderful tie-in to our Syrian family so look for the press releases in our local papers and on the radio. After the concert, probably in June, we will be hosting a public meeting inviting the general public to help with this family’s settlement and adaptation to Canada. Volunteers will be able to sign up to assist in the various categories taking direction from one of our Team members who have signed the legal documents and have the authority. All Team members have completed criminal record checks and signed code of conduct and confidentiality agreements with the Inter Cultural Association of greater Victoria who we are accessing our family through. The settlement process of the first year is a large undertaking but we feel confident that the outpouring of compassion that we have already experienced will continue. We thank you all and express our extreme gratitude to all those who have donated funds, or their time or simply encouraged us. We live in a wonderful, compassionate community. Over the course of several weeks in late 2016, approximately 20 members of the Safehaven group came together for an official signing ceremony signaling their intention to be legally-bound to financially & emotionally support a Syrian refugee family of seven in their first year as they make the difficult transition to life in Canada. We thank you for your donations, and wish you a blessed Christmas & a wonderful start to 2017. The Bake sale person is Joyce Wilson at 250-890-1006 and Gary is the contact person for the Jewellery & Silent Auction, at 250-338-8974. Thank you SO MUCH for participating. Items to donate will be by drop off at St. George's United Church from 9 am to noon on Oct. 18th, 19th, 20th and 21st. The items can be brought into the church and someone will be there to assist. Your in-kind and financial donations for helping a family relocate here from war-torn Syria. 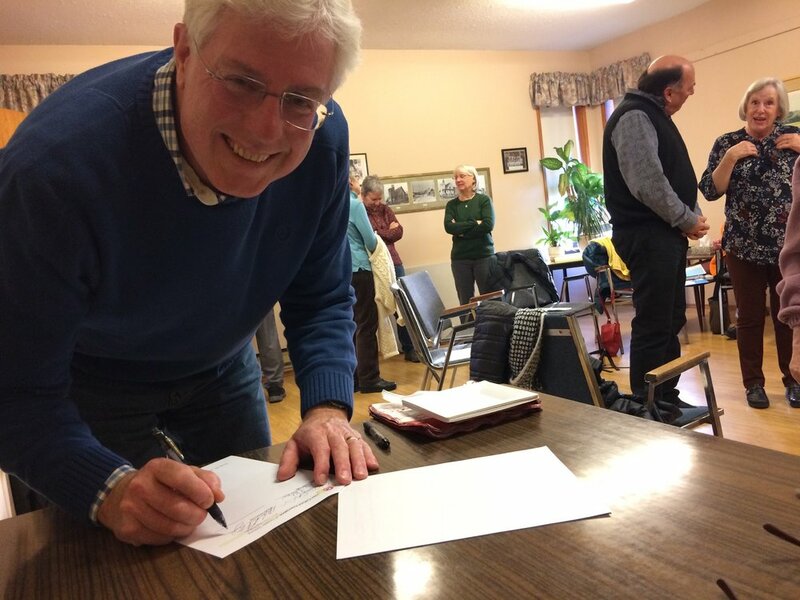 Safehaven: Refugee Sponsorship Group, in conjunction with the Inter-Cultural Association of Greater Victoria, are pleased to announce that they have entered into a verbal agreement to sponsor a Syrian Family of 7 to come to the "Land of Plenty", the Comox Valley. Safehaven will be holding a fundraiser for our Refugee Family on October 22. 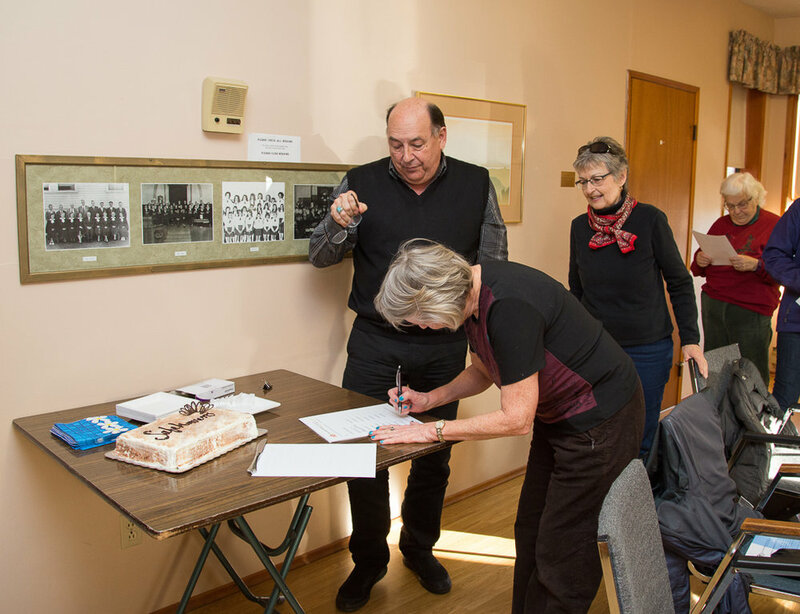 Bake sale person is Joyce Wilson at 250-890-1006 and Gary is the contact person for Silent Auction at 250-338-8974. Items to donate will be by drop off at St. George's United Church from 9 am to noon on Oct. 18th, 19th, 20th and 21st. The items can be brought into the Church and someone will be there to assist. We want to stress this is not a garage sale so items should be more upscale. 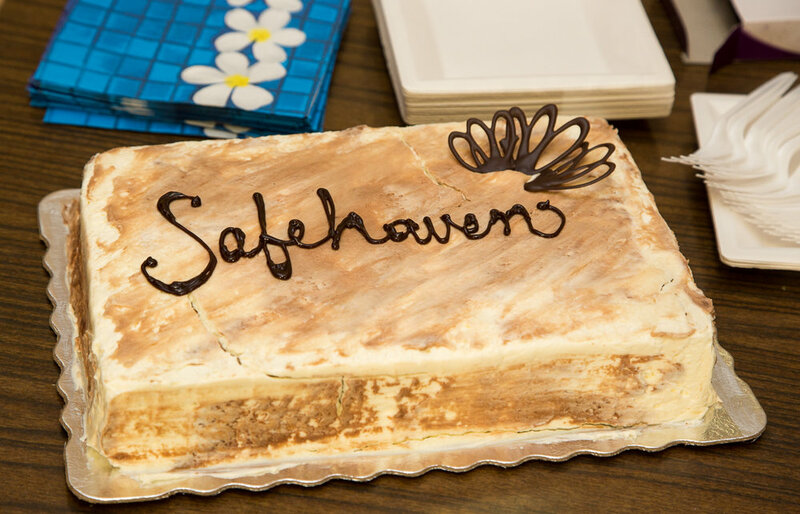 Safehaven announces a change in our sponsorship family and fundraising update. A successful benefit concert and entering into an understanding with an Iraqi Kurdish family.